We hear about Julia Child all the time. About the indelible — and edible — mark she left on the food world, making French food accessible to regular folk with her charm and certain je ne sais quoi. We have seen her depicted in blogs and books and movies of late, portrayed by Meryl Streep in the widely popular Julie and Julia, portrayed as a wife and friend and co-host by the people who knew her personally and have written memoirs about their experiences (I snagged a signed copy today of My Life in France, written from Julia’s perspective by Alex Prud’homme). I spent a couple hours today remembering why Julia matters at an event celebrating what would have been her 100th birthday today at the Smithsonian’s National Museum of American History. I wasn’t sure what I would get from it, but it sounded too alluring to miss, especially with the promise of a surprise at 1 p.m. that drew a large crowd to the museum’s Flag Hall. 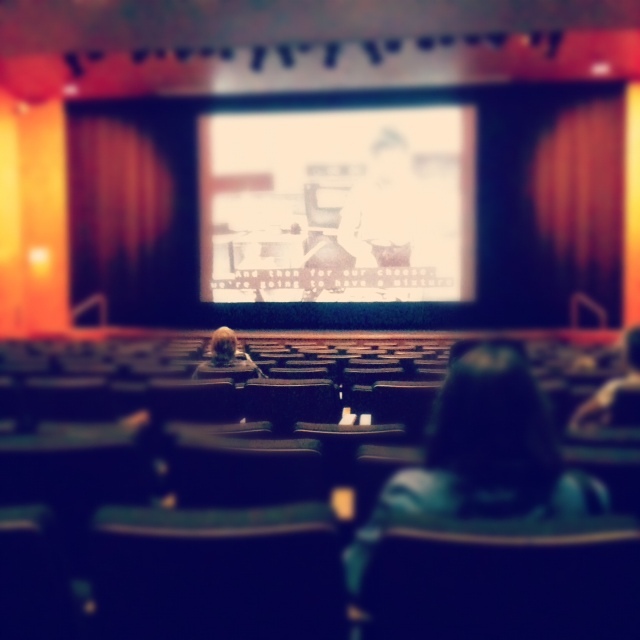 But I spent the first hour or so, along with a stream of museum tourists, watching some best-of-Julia cooking shows in the museum’s theater. A group of watchers in front of me, who obviously remembered watching these videos for the first time when they aired in the 1960s, couldn’t contain their laughter when Julia accidentally poured vermouth instead of olive oil on top of her cheesy onion soup. “Oh whoops, I keep doing that,” she said, rather unfazed. A few moments later, she knocks over a bottle of brandy with her elbow while reaching for a pot. And the audience laughs even louder. That’s what they love about her; and it’s what they (or at least I) forgot to remember as we watch all the celebrity chefs we love today — because they conduct their shows so smoothly with just the right dash of personality. But Julia’s show was all personality. It was all “welcome to my kitchen and we’ll take the onion soup, or the quiche lorraine or the poached egg ‘as far as it can go. '” She had this eagerness about her, like she had been gifted with these morsels, these secrets of French cooking, and she wanted ever-so-carefully and dutifully to pass them along. 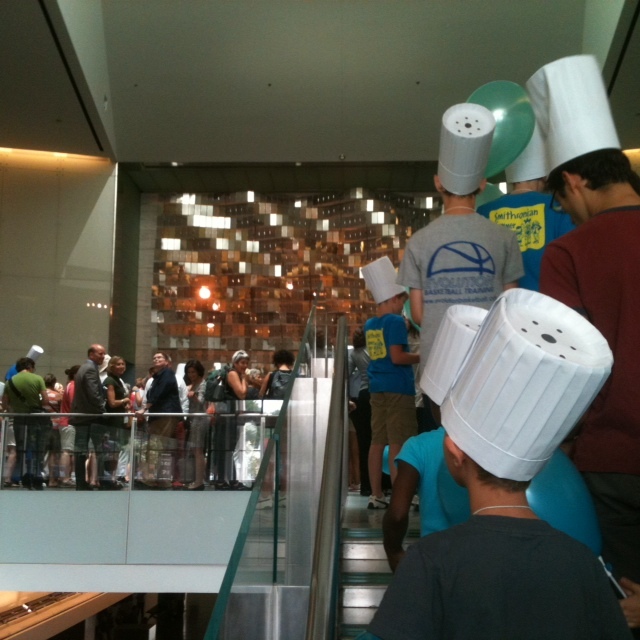 Following a stream of children in chef hats to the “big surprise” in the Flag Hall. But she always messed up in the most precious ways. The finished product would come out just fine, and we’d sit at her table with a home-cooked presentation, and she’d rave about the rosé she planned to pour with dinner. But along the way she would muddle the edge of the crust or break the yoke of the poached egg or leave the oven open for an entire set of the show. You can’t help but laugh and then begin to take notes, thinking “hey, maybe I can do this, too.” She tells us what makes French cooking superb and distinct, and then tells us — almost in a whisper — how to disguise the flavor of a canned bouillon if you just can’t find the time to make your own broth (add vermouth or red wine). 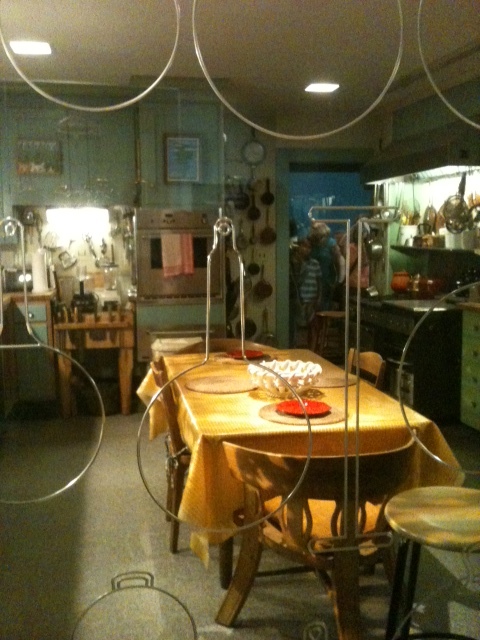 Julia’s kitchen on display again, for just two weeks, at the Smithsonian. It will reopen permanently in the fall as part of a larger food exhibit. 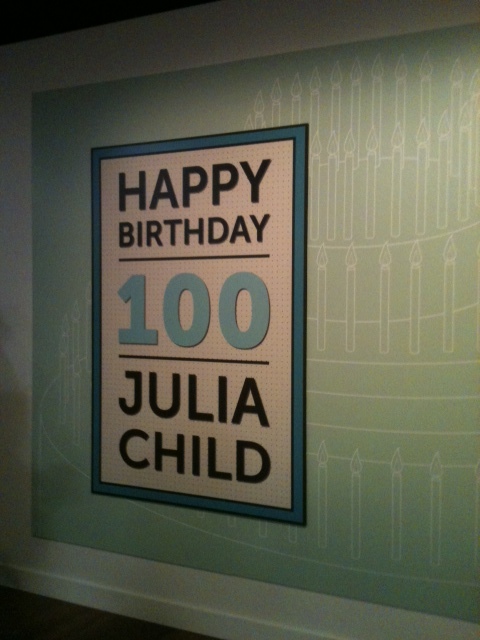 There was much ado in the Twittersphere and on PBS and in the food world today about Julia’s birthday, and rightly so. It’s hard to believe she passed away just 13 years ago, and that we, like Mr. Prud’homme laments in his book, wish at times we could ask her just one more question. There is much to take away from her memory today. Perhaps the most timely bit of advice for our food world — which is increasingly steeped in degrees and accolades and a bit of snootiness — is to not take ourselves so seriously. Look at how much Julia bequeathed to the food world and to the average eater, and she did it with such humility, with none of the pomp that had long been associated with the type of cuisine she was trying to present. What we love about Julia are her imperfections. They gave her character. They made it okay for us to try, too, and to mess up. And that is a great gift. Happy Birthday Julia. I love Julia — not the least of which is because she proved over and over that cooking does not have to be complicated. But you must try. And cooking and eating together also pulls us together, as a family or as a community. Yes, it’s about food. Not rocket science.